I’m a fan of making things from scratch. Whenever I can, I seize the chance. Spending time on Pinterest and Buzzfeed looking at interesting and pinning interesting DIYs to try is a fun activity, yet most of them never come to life. 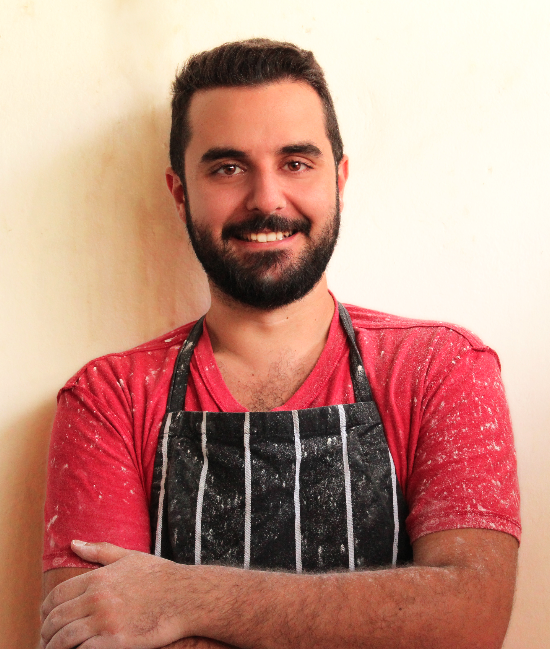 When it comes to food, I’m willing to try hard recipes especially if there’s an added value. My added value here is more nutritional value and less processed and unhealthy ingredients. I have been introduced to nut butters through food blogs I follow but some are unavailable here yet. So I had to put on the investigator’s coat and search at supermarkets and shops to buy some and taste. Let me add that they all have ingredients I can’t pronounce. The next step would be try making them at home, keeping in mind using no additives and artificial ingredients that the supermarket versions are loaded with. 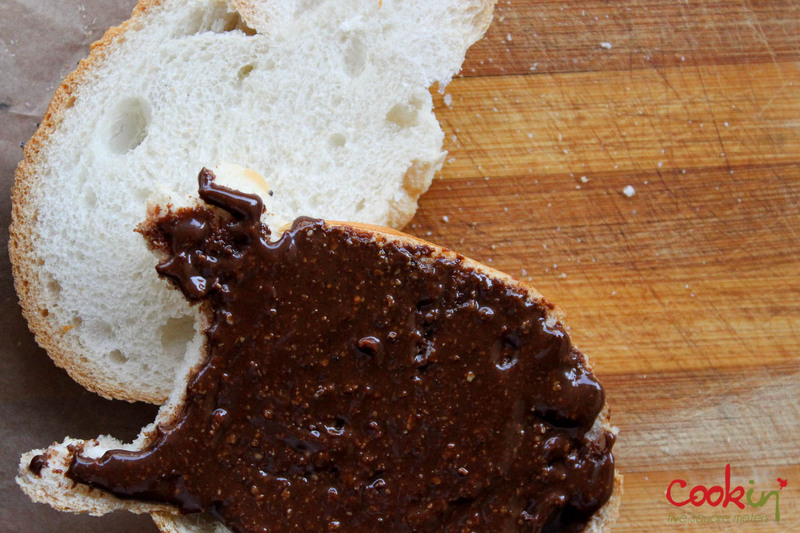 I made this chocolate hazelnut spread many times before, but I never measured exactly what I put in. Last week, I made sure I write the exact ingredients down and keep them as simple as possible. 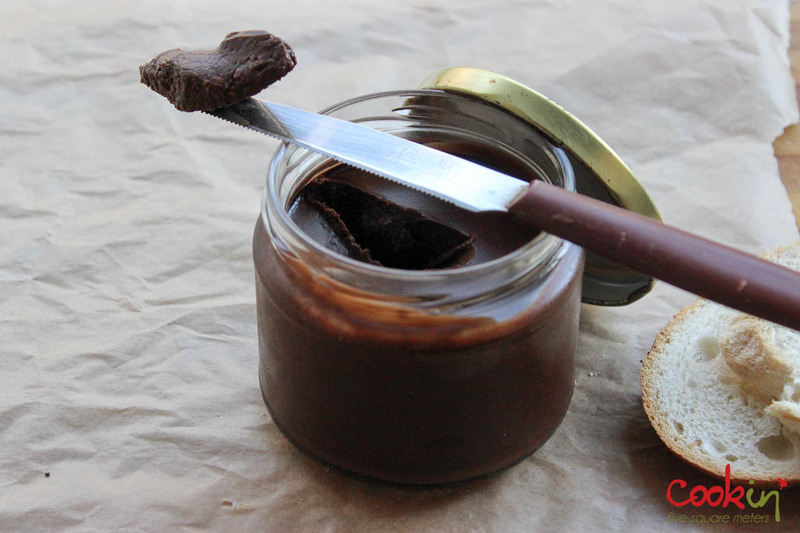 Turns out, I can make a vegan version of Nutella with dark chocolate and without sugar or added fat. I prefer this version because Nutella is too sweet for me and dark chocolate wins my heart every time. I’d sacrifice that creamy sticky texture of Nutella, which is acquired by the use of fat and sugar, for the clear conscious of eating half a jar. This photographed batch was tasted by friends and colleagues. It is love from the first… Spoon. After demand, I decided to swap things on the list (inside my mind) and begin the series of spreads and butter with this extravagant natural vegan spread recipe with no added fat or sugar. 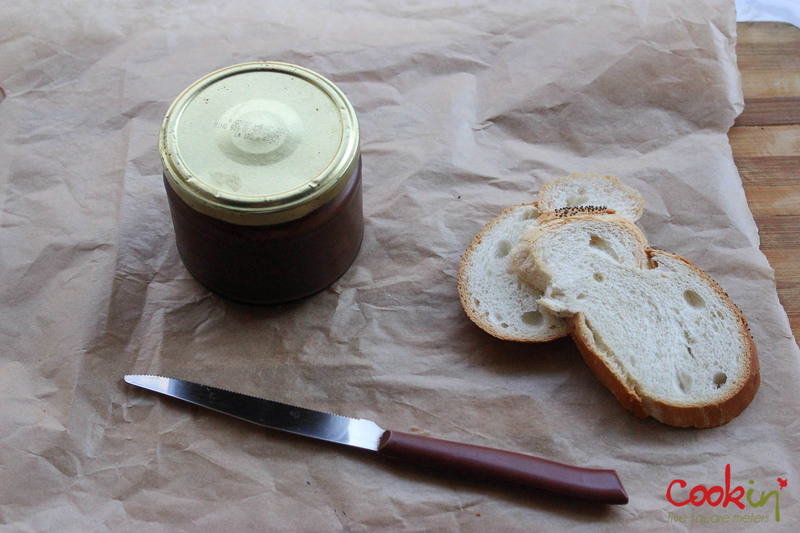 Read Christelle’s version of this spread and her analysis and comparison to Nutella. Add the melted, slightly cooled chocolate and blend until well incorporated. Don’t worry about the runny texture, it’ll harden once cooled. Divide into jars and store in the refrigerator. *wrap in a kitchen towel and rub vigorously. Blow the peels away or pick the peeled hazelnuts. Peel the rest by hand and don’t worry about stubborn peel. Use peel in your compost or with the plants’ soil. 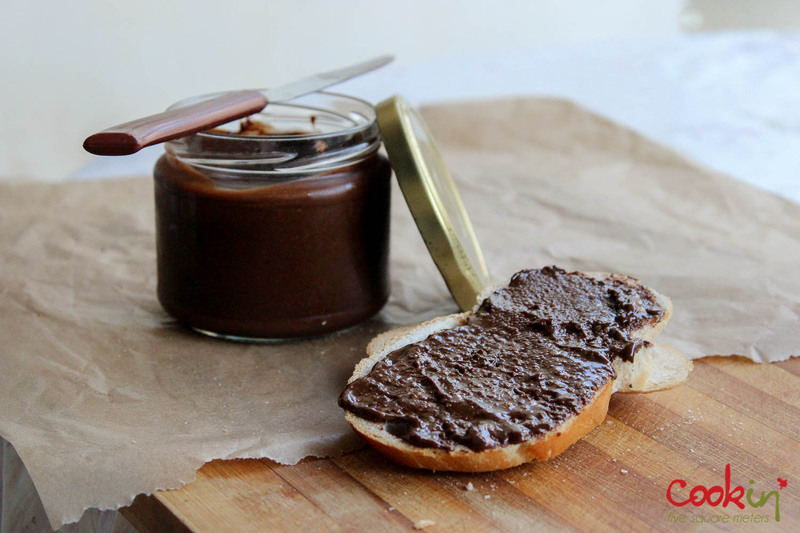 This entry was posted in Chocolate, Dessert, Light Section, Low-fat, Nut Butter, Recipe, Vegan and tagged better than nutella, butter, Chocolate, dark chocolate, Hazelnut, love, low fat, natural, no fat, nut, nutella, nutella alternative, recipe, spread. Bookmark the permalink. If it only was that easy!With Nutella I just open the jar and start eating!No recipe is gonna give me that instant satisfaction! 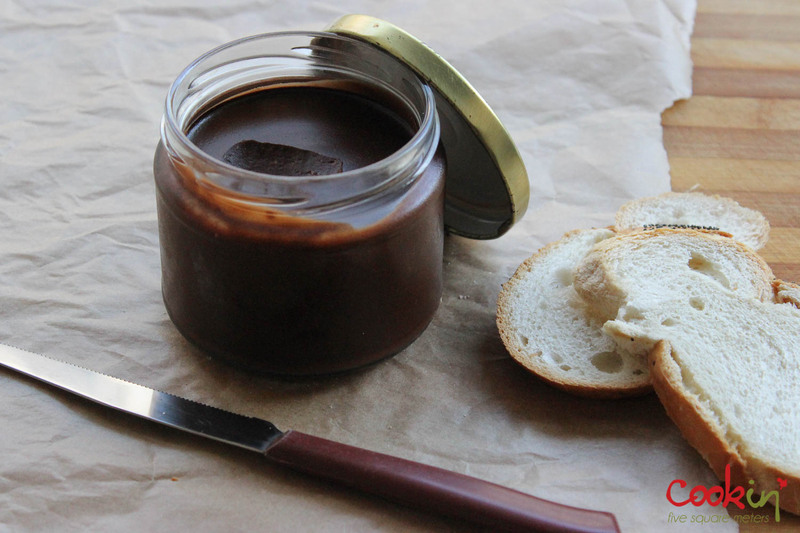 What brand of dark chocolate and cocoa powder do you use to make your chocolate spread? This looks delicious, good job turning hazelnuts into butter. Like you I prefer dark chocolate to sweetened milk chocolate. I haven’t tried Nutella in years, I wonder how I would feel about it now that my body is no longer used to these things. I tried eating a piece of Lindt milk and hazelnut chocolate the other day, and instantly felt nauseous, it was so sweet. I’ve made my own “nutella” recently (I used almond butter), and loved it! It’s a pity you can’t get decent nut butters in Lebanon, here in France they are widely available (expensive), 100% natural (no added ingredients), and fantastic. If you have friends visiting from France, ask them to bring you organic butters from the Damiano brand, they are THE best ever. I am not exaggerating. Don’t try Nutella. You’ll be more nauseous. There is one shop I know here that has organic and natural stuff but it’s too expensive (A New Earth) so I’d rather make my own.